Daniel Bruhl Q & A: Who's Laszlo Kreizler, Breakthrough Finale Moments and More! 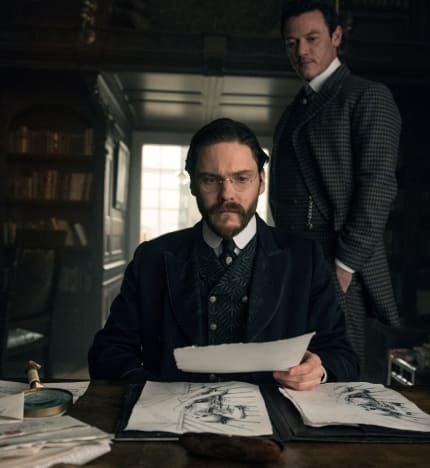 TNT's breakout limited series The Alienist will be coming to a close at 10 p.m., Monday, March 26. The secrets will still be flying during that finale. 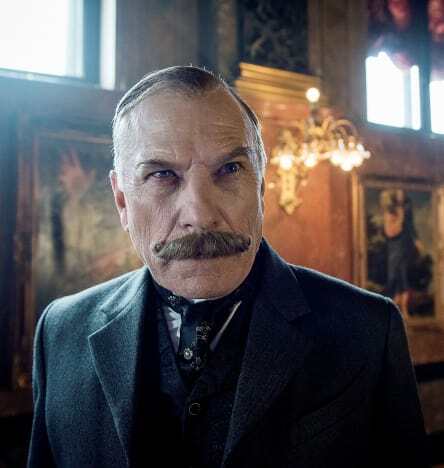 At the center of that series, based on the best-selling novel by Caleb Carr, is Dr. Laszlo Kreizler, who somehow manages to be both the smartest man in the room (just ask him) and a bundle of neuroses, all at the same time. 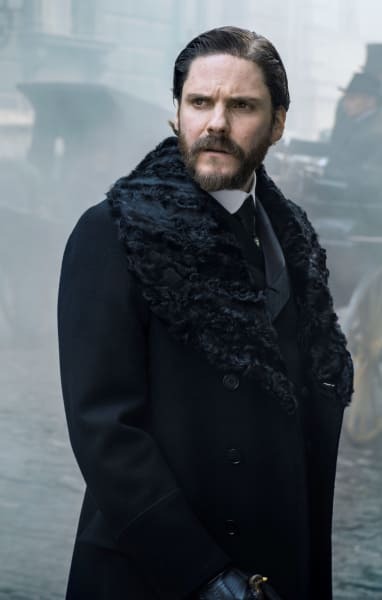 Taking time out from his busy film schedule to talk from London, Daniel Bruhl spoke about all things Kreizler, helping viewers to understand this enigmatic alienist better. 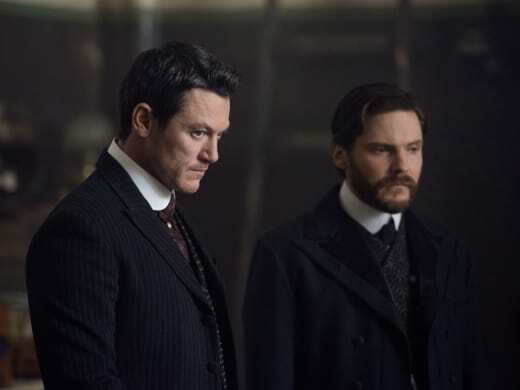 How familiar were you with The Alienist novel when you first got the part? It was published in Germany, and I read it in Germany first, but it wasn’t that well known as it is in the United States, and I hope that will change once the show comes out in Europe. But I was immediately attracted by it. I loved the combination of it being that gloomy, dark, psychological thriller but also that fascinating portrayal of New York at the time (1896) when so much was happening. As a German, I learned so much about the history in New York, about politics, about the fact that Roosevelt was running the police department before he became president, something which I think most of the Europeans also don’t know. Also, it deals with the beginning of so many fascinating sciences, like psychology, criminal psychology, forensics, etc. That made it a very enjoyable read, and I was completely mesmerized and hoping to be able to be part of this project. How did you research the role of Laszlo? I did a lot of research. Thank God I have the best authority living with me. My wife Felicitas is a true alienist. She’s a psychologist, and she helped me with many things. She put me in touch with other psychologists, with criminal psychologists. We talked a lot about the origins of that science. I read a lot about Freud, Breuer and Jung, all the famous psychologists in Vienna back then. Also, a very interesting book was Island of Vice, which deals with the corruption within the police department in New York at that time. Then I met (executive producer) Jacob (Verbruggen) and Dakota (Fanning) and Luke (Evans), and we started to rehearse, started to get used to the costumes and the props. I was working with a dialect coach because Kreizler comes from a German-Hungarian background, but still, I wanted to sound different. All these things you do prior to shoot. Explain Laszlo’s relationship with John. He seems to be Laszlo’s best friend, and Laszlo doesn’t have that many friends. Yeah, he’s a loner, he’s a pretty antisocial person, and John is probably his only friend who’s been loyal and helped him. They’ve known each other from their teenage years back at Harvard. He seems to be the only one who is patient enough and caring enough to cope with Laszlo’s arrogance and cockiness and provocative attitudes. And I think Laszlo admires about John that self-confidence that he has, as in being able to move around the society in New York, to be that guy with that social talent, also to be that romantic soul that John is. I think that Laszlo underneath admires about John. And vice versa. I think there’s a mutual respect for each other and a true bond. It’s nice that there are these moments, especially toward the end of the series, when you can feel that, despite the pressure and the heated arguments they have, there is that friendship. What drew Laszlo to this case in which the multiple murderer was killing boy prostitutes? Was it because the similarity to the Zweig killings or because the victims were children or because Roosevelt asked him to? Because of what Laszlo has gone through in his own life, which also we will learn about much more in the finale, we can understand his interest in trying to help children. This is what drives him as a psychologist, to help children with emotional trauma. It is a very personal choice. This is what brought him to the Zweig twins that he was trying to help. This for him in his professional life is hugely affecting him because of what happened to them. It is out of a professional obsession and interest that he decides to come on board and investigate rather than Roosevelt’s telling him to do so. What is it about an alienist that causes concern for the general public and specifically the old-guard police? That was a new science, from only the early 1870s. Roughly 20 years before that time, psychology was finally being considered a real science. Before that, it was a branch of philosophy and was not accepted. So these guys were really pioneers and were very modern, liberal thinkers, very progressive, very brave. That caused a lot of outrage and fear in society. They were seen as being charlatans. There were many prejudices, superstitions, religious beliefs and people were scared of the fact there were people now who were willing to look inside human beings and to learn more about also the evilness within a human mind and even willing to try to see the human being behind a horrible murder. That was completely new back then. What are the biggest mistakes Laszlo has made during his investigation? Sometimes he is too stubborn, and he is not listening enough to the very bright people around him. 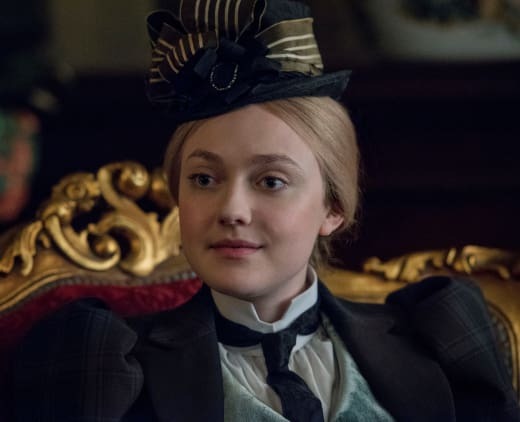 And that’s always a very interesting relationship that I always love in my scenes with Sara Howard, played by Dakota Fanning, because she has, like him, gone through a lot in her life, as we will learn, and also she has a huge psychological knowledge, without having the experience that Kreizler has. He sometimes is relying more on his personal, professional experience and on the books he’s read and is sometimes not carefully listening to what is being said around him. It’s obvious Laszlo has a kind heart when he’s working with children. But he can be so condescending to adults. Why is he seemingly indifferent to social skills? I think because he never learned to deal with that. He’s physically handicapped; he’s a man with a lot of complexes. He never felt at ease with his own body and with himself. So he’s not comfortable being around people. He’s more comfortable in his library. The only time we see him opening up, being emotionally more transparent and caring, is with children. Why has Laszlo been unwillingly or unable to heal himself? What psychologists do nowadays is introspective analysis. That didn’t exist back then. It means that psychologists, with that tough, intense work that they’re doing, need to have a psychologist themselves just to cope with the pressure and the issues they’re dealing with. Related: Good Behavior: 22 Best Moments So Far!! Laszlo doesn’t do that. There is no way to let that pressure go. If he does so, he over-reacts -- gets into a temper that is very aggressive. He will, only later, go through this catharsis where he will be at a very different point and when he will finally have coped with his own demons, will have the courage to confront his own demons, and close certain chapters which he has carried around and kept hidden. Why did it take so long for Laszlo to express his feelings to Mary? Was it an ethical concern because she was a former patient, or was it something more? It’s that restraint. Also, it’s the Victorian times, the uptightness and the distance people then had from each other. It’s also because he’s not experienced a love relationship. It’s maybe something he didn’t allow himself to be engaged with, and to open him up. He doesn’t know what that is. That’s why he’s asking John so often what it feels like to be in love. He wants to find out more about being a romantic soul like John is, and John knows about these things. Laszlo just cannot. He’s just too shy, too afraid and maybe afraid of being rejected. That’s why when he opens up and becomes closer to Mary, it’s almost too late. Will Laszlo’s opening up to Sara in the finale mark a turning point for him? Definitely. This is a moment of huge relief and a moment of catharsis for him. It’s probably the first time he tells someone what has happened to him, and he’s absolutely transparent and has the courage to express himself openly and honestly, as does Sara. To me, that was one of the crucial scenes and moments of the whole show and the whole interior journey that my character leads to. By series’ end, will Laszlo be in a better place psychologically? Yes, definitely. And yet, as we know, he also anticipates that the knowledge he has is by far not big enough to face the problems of patients with mental disorders that he later will encounter. Even now, in 2018, it is not possible to judge if someone can be healed or not. The human mind is far more complex than people thought back then. One lesson he learned is that scientists like him had to leave the paths that they had known, the paths of traditional medicine, where people tried to understand about the mind by analyzing the body, by relying on the things they knew about anatomy and medicine but enter new fields. My hope would be that we can go on with that journey, that hopefully one day I could become Laszlo Kreizler again because if you think about what happens years later, with hypnosis and all these new techniques and ideas and theories that the psychologists had, it will continue to be highly fascinating. The Alienist has received very good ratings. There’s a second Alienist novel for source material. So would you be up for another season? Dakota, Luke and I agree we would not mind going back at all. We enjoyed this experience so much. 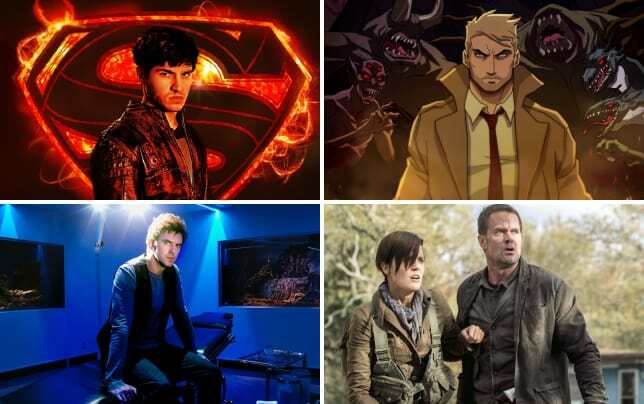 These characters are so rich; there is so much more that I’d like to explore, that yes, I would definitely go back. The season finale airs on Monday, March 26. 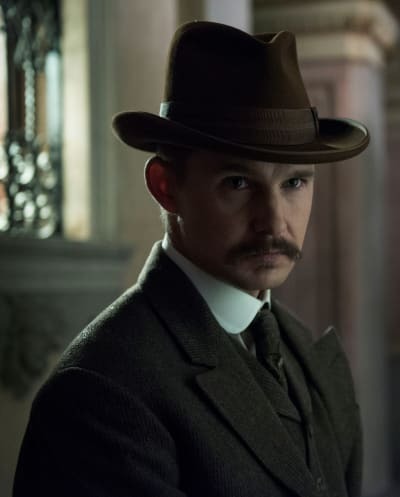 Be sure to watch The Alienist online to catch up beforehand!